can occur all year round. particularly in the South in mild winters. 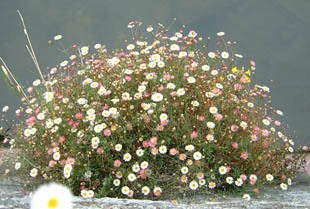 Mexican Fleabane is a naturalised escape (since the 1890s). 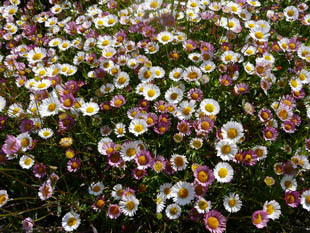 prostrate, spreading colonies, growing up to 50cm. 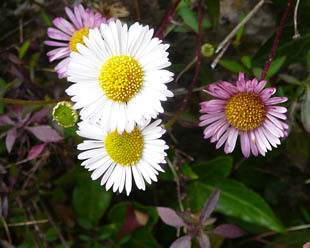 flowers, which are approximately 2cm across.